If there’s been one positive outcome of the acrimonious NAFTA and the free trade talks, it’s the renewed support for Canadian farmers, retailers and manufacturers by shopping local. We had a great #BuyCanadian experience lately. This summer we renovated our bathroom. Our contractor took us to a bath specialty store for fixtures, but we still needed a vanity and storage. I googled bath stores in Kingston and found Bath Depot in the Rio Can centre on Gardiner’s Road. Bath Depot (Bain Depot in Quebec) is a Canadian success story. It was founded by four brothers from Quebec and is unique, because it’s not just a retailer, it acts as a manufacturer, distributor and retailer for its products. The result is great products, made in Canada at reasonable prices. Today it has 25 stores in Ontario and Quebec and more than 200 employees. 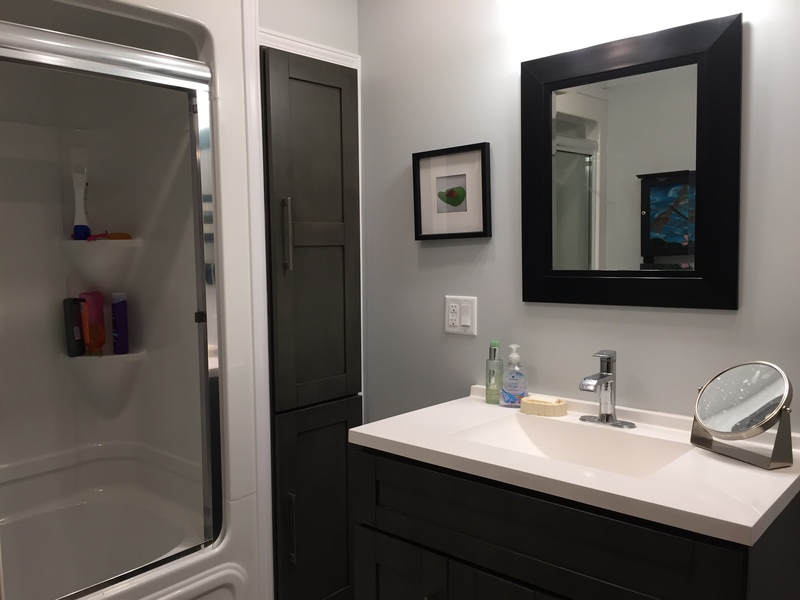 They were excellent to deal with and had one of the best selections of vanities, fixtures and accessories to choose from and we love our new bath room. This summer, we also scoured the big box stores to find replacement vacuum bags for our old vacuum. We had just about given up, when Dave said let’s check John Trousdale’s hardware store in the town of Sydenham. John has one of the best selections of appliances in the area, and will match just about any price. Sure enough, he had what we were looking for. Some economists say it’s impractical to #BuyCanadian—that there simply isn’t enough Canadian manufacturers and products and we need to keep calm and keep trading on. I say it’s time to support our local businesses and when you can, #BuyCanadian. 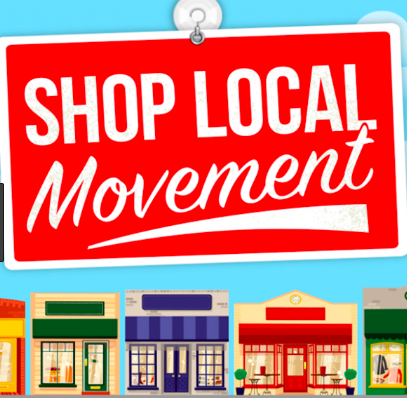 Not sure where to find local goods? Check out madeincanada.ca, a site created by a 17-year old Ontario student on his summer vacation that lists Canadian made goods. Not bad, eh? Yesterday, we watched two great hockey games. And it didn’t cost us a dime. 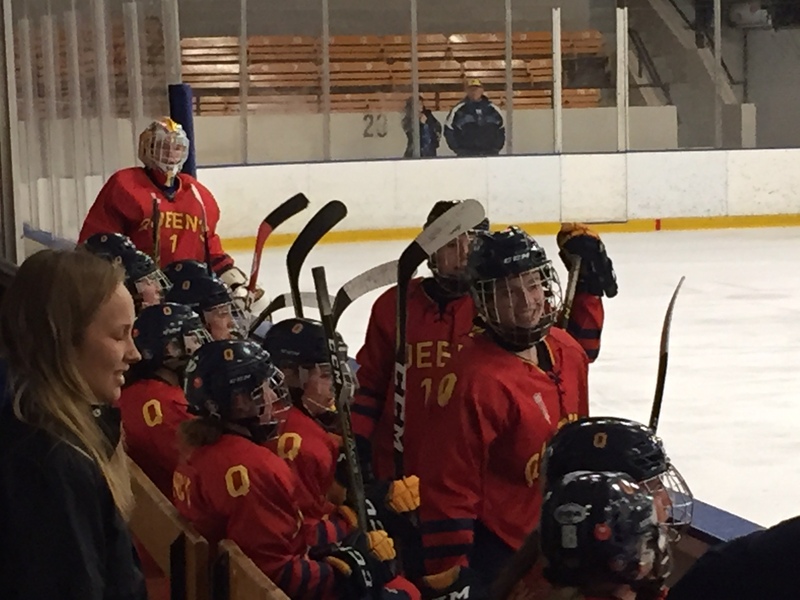 We cheered on the Queen’s University women’s hockey team to an 8-1 victory over Windsor at the Memorial Centre. There were only about 100 people in the stands. Then we watched one of Grace’s friends, who plays competitive hockey take on Ajax. It was amazing to me even at that age (14), at that level, what great hockey it was. Kingston came out on top 2-1. Entertainment costs today have spiralled out of control. According to Forbes magazine, the average ticket price for a Toronto Maple Leafs ticket is now $368.60, the highest in the league. Last year, the Toronto Blue Jays announced they’d be hiking ticket prices for the 2018 season. 200 level seats within the bases will cost over $50 a ticket. My brother recently attended the Canada vs. Finland World Junior Hockey game in Buffalo. They paid $120 a ticket and the stands were half empty. Every week I see Facebook posts of people who have taken their kids to $100 concerts. It’s almost become cost prohibitive for a family of four to go to any of these events. In every community, there are local sporting events and concerts for free or that are relatively cheap. You can also get much closer to the action. 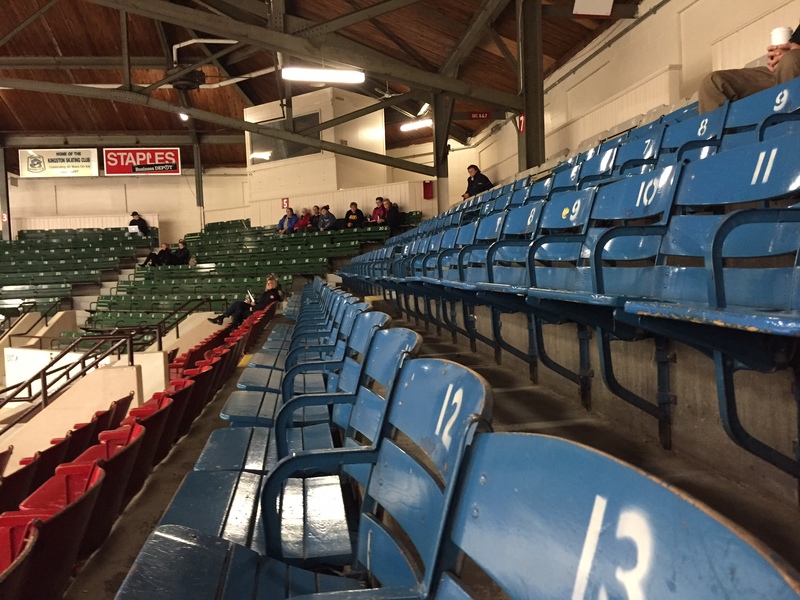 Yesterday, I sat right behind the penalty box and Queen’s bench for a period of the game. It’s cool to see the interaction of the officials, coaches and players—you could hear all the conversations and see the coaching staff in action. And unlike at a Blue Jays or Maple Leafs game where you’d pay $12 a beer and $8 a hot dog, we spent $4 for four bags of popcorn. 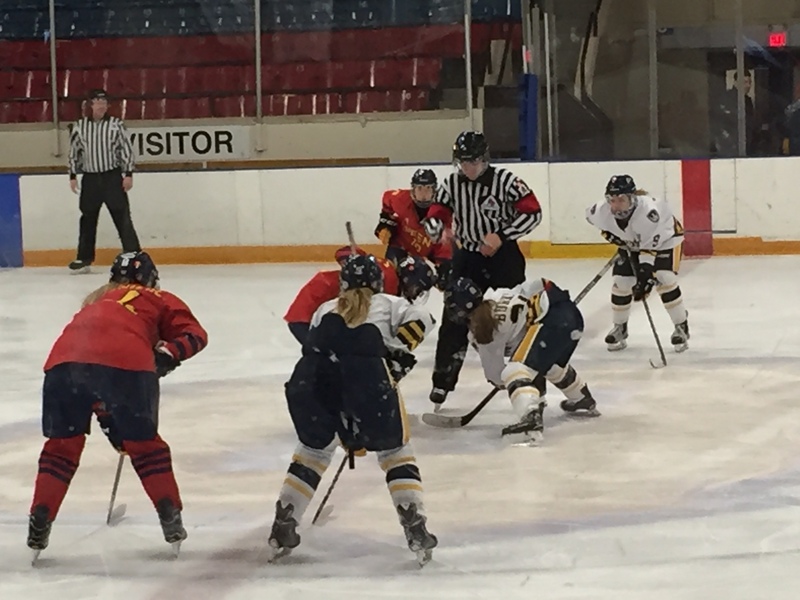 The Queen’s Women’s hockey team is taking on the Western Mustangs today (Sunday, January 21) at the Memorial Centre at 2:30 p.m. Tickets are $7 each and a bag of popcorn is only a buck. You can check out all the Queen’s sports games at gogaelsgo.com. I’ve taken the kids to their basketball double header nights (women and mens) and it’s a great night of entertainment. Last week, I promised to share some of the best sites and tools I learned about at the National Financial Literacy Conference for Financial Literacy Month. Here are six free sites and tools you can use yourself, or share with your kids or students to help you take care of your financial health. 1) FCAC is encouraging Canadians to take the MoneyFitChallenge at moneyfitchallenge.com. Test your financial knowledge to earn points towards Tim Hortons and Cineplex gift cards. You can register as an individual, as an organization or as an educator. 2) VISA Canada and Marvel have teamed up to produce comic books for kids on financial literacy. You can order Guardians of the Galaxy and Avengers Mad Money Skills at practicalmoneyskills.ca. 3) Score a hit with your teen by introducing them to Financialsoccer.ca to teach them basic money concepts. 4) myclassroomeconomy.org is a classroom economy that teachers can use to teach kids about money. Students earn school “dollars” for decisions like whether they will rent or buy their desks and more. 6) My personal favourite: proliteracy.ca is a great site for planning for post-secondary education costs. You can enter the number of years your child will be in school, which university or college they plan to attend, which program and whether they will live at home or not. It will tell you what the total cost will be for tuition, rent, and expenses like food, books, etc. I ran the numbers and the total cost for Grace if she goes to four years of university was $86,000 or $61,000 if she lived at home. The site also has a great blog and information on what grants and scholarships are available. You can even share your profile with family members and ask them to make donations towards your child’s education! This week’s #HappyAct is to take care of your financial wellbeing this month. Choose one tool or challenge yourself to take one action to take better care of your finances. Happy Financial Literacy Month! 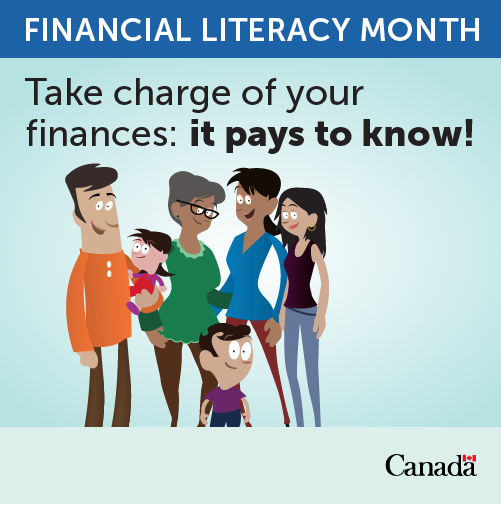 November is Financial Literacy month. Last week, I had the pleasure of attending the National Financial Literacy conference in Montreal. 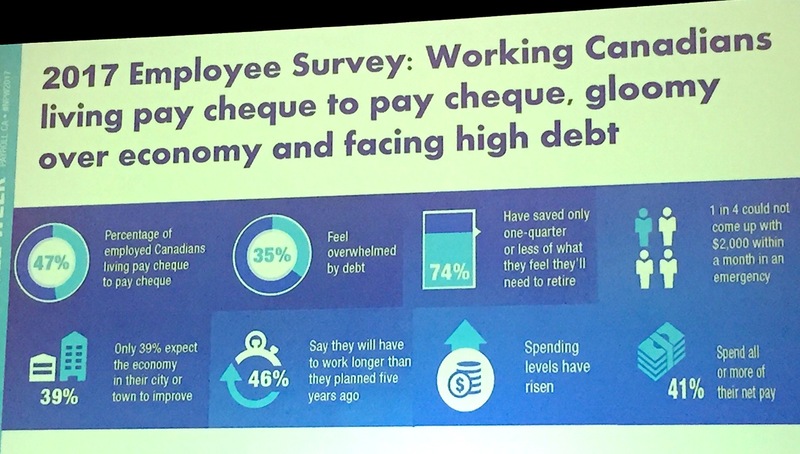 It was an inspiring two days of learning how we are doing as a country in helping Canadians have the knowledge, skills, and confidence to make responsible financial decisions. Since I work for a company that helps people be financially secure, financial literacy has always been a passion of mine. One key theme from the conference was how being financially secure plays into our overall wellness and happiness. And Canada is further ahead than most other countries in the world. The key to financial wellbeing really comes down to one simple tenet: live within your means and don’t spend more than you earn. Of course, this is much easier if you have a good job and good income. It’s not as easy if you are a single income family or living close to the poverty level. We also live in a highly commercial society that is constantly enticing us to spend money. I walked out of the conference last week and went for a walk on St. Catherine’s Street. Every store window had the word “Sale/Vente” blazoned on it promoting early Christmas offers. (And yes, I did spend money shopping). One person shared a story about a friend of hers who was visiting L.A. who saw a purse on sale from $5,000 to $1,200 and couldn’t pass it up because it was such a “steal”. We are programmed to spend. So how do we do a better job of living within our means? It starts with lifestyle choices. Look at how you spend your time and consider making shifts in your leisure activities. Choose activities that require no spend or very little spend: hiking, free community concerts and events, and hobbies at home or spending time with family and friends that cost little money. If you are struggling each month, make a budget and stick to it. Decide which expenses are necessary and which ones are discretionary. See if there are ways to reduce both. This week’s #HappyAct is to live within your means and look after your financial wellbeing, especially this holiday season. Next week, I’ll share some of the best sites and tools shared at the conference to help you take control of your finances and be financially secure.